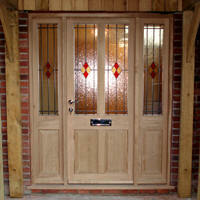 Any size or style, we can manufacture purpose made exterior and interior doors. All doors can be constructed in either hardwood or softwood. They can either be an exact replica of an original or to suit your own design ranging from shaped, fully glazed/half glazed, traditional boarded doors to more bespoke designs. We can also manufacture all styles of garage doors. We can source a wide range of ironmongery including brass, chrome and black antique to suit any door. 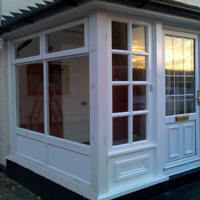 We can produce any type of window to match or enhance your home. Our range of wooden windows are fully finished, glazed and environmentally friendly - using where possible, timber from renewable and sustainable sources. We provide a range of finishes that last for a long period of time.